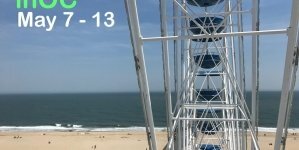 It may officially be fall, but Ocean City is stretching summer out just a little longer. 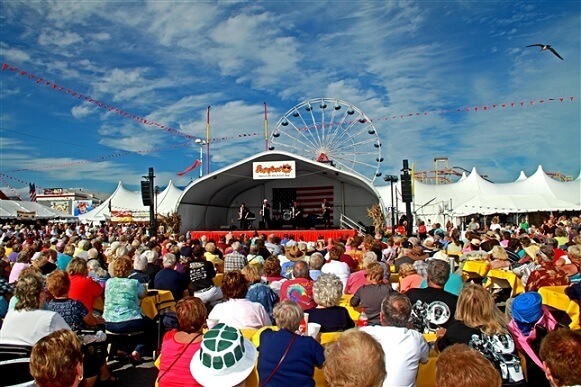 This weekend marks Ocean City’s biggest festival of the year – Sunfest! 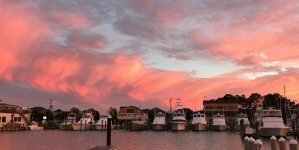 Starting on Thursday September 24th, and running for four days, the Inlet parking lot will be packed with tents bursting at the seems with arts, crafts, delicious food and live music. Children’s activities and hay rides will make this a complete family affair, and best of all, admission is absolutely free! There will be live music throughout the weekend, including Rick K & the Allnighters, Jesse Garron’s tribute to Elvis, and the British Invasion Experience to enjoy while tasting a diverse assortment of local and regional food and drinks. 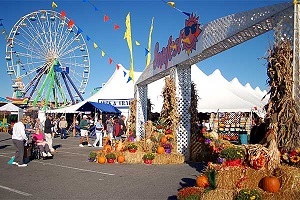 With a little positive thinking that the weather will cooperate fully, you will be able to sit back and enjoy the entertainment and food after a few hours of serious shopping. Ticketed events this year b oasts some big names on the music scene. Headliners include Tony Orlando on Thursday at 8pm, Wynonna and the Big Noise on Friday at 8pm, and Gin Blossoms & the Spin Doctors Saturday at 8pm. Tickets for these events are available at ticketmaster.com. Sunfest hours are Thursday thru Saturday: 10am – 10pm, and Sunday from 10am – 6pm. Also this week, at the Roland E Powell Convention Center, the Gem, Mineral and Jewelry Show will provide you with a gorgeous selection of jewelry made from a variety of metals, as well as crystals, minerals and fossils. Jewelers will also be there to design, remount or repair your own jewelry. 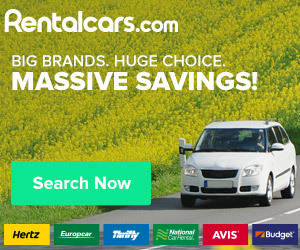 A great place to browse and shop! Show is open on Friday through Sunday. Keeping with the jewelry theme, Park Place Jewelers will have their annual Treasure Hunt at the Beach on Saturday at 4pm, and Sunday at 1pm. Try your luck at digging in the sand for real treasure! 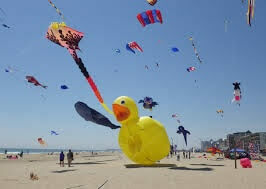 The 36th annual Sunfest Kite Festival should be visible anywhere on the Boardwalk for five days of kite competitions, games, workshops, and fun. There will be free lessons Friday and Saturday, the ever popular candy drop Saturday 12.30pm and 2.30pm, and on Saturday at 1:00pm they will give away free kites to the first 100 kids between the ages of 5 and 12. And last but by no means least, if you feel like heading out of town this Saturday, you could try going down to the Cypress Swamp in Pocomoke City for their Pocomokeoberfest from 2pm – 8pm. Here you will find wine and beer tastings, commemorative glasses, arts and crafts, great food and live music. 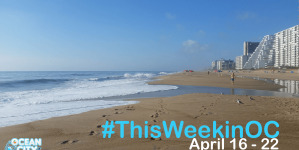 A busy and fun filled week awaits you in Ocean City. 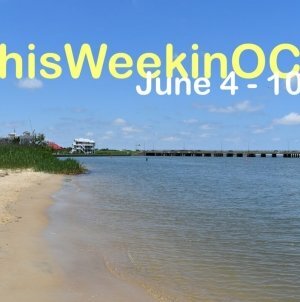 Click here for a full list of upcoming Ocean City events and don’t forget to join our online community by visiting our forum, signing up for our newsletter, and following us on social media at on Facebook, Twitter, Instagram, and Pinterest for breaking news, breathtaking photos, daily updates, and weekly giveaways from your online authority for everything Ocean City. Anne grew up in Edinburgh, Scotland, and still has the accent to prove it. She earned her Business degree from the University of Northumbria in Newcastle, England and when she was 21, she bought herself a round the world ticket and spent a year working and traveling across the globe. She came across Ocean City for the first time 20 years ago and shortly after it became her permanent home. Anne has three red headed children (who don’t have Scottish accents) and over the years she has been a stay at home mom, an Ocean City business owner, and has worked at her children’s school. When time allows, Anne still loves to travel. She has been with OceanCity.com since September 2014.